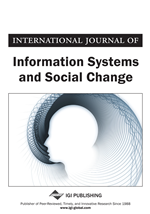 This paper reports the results of a quasi-experiment designed to identify linkages between customer attributes and apology types in service recovery in informal resolution settings. Understanding these relationships is critical for enabling more effective and dynamic social relationships between the service provider and the customer/client with the use of technology, namely Customer Relationship Management Systems (CRM). The authors find that simple apologies decrease anger, restore distributive and interactional justice, and increase satisfaction. More importantly, the paper suggests that there are significant nuances in apology types and complex relationships between customer types and effective deployment of the apology in informal resolution settings. Further, the analysis suggests that apologies with explanations are more effective among customers with service experience and that apologies with compensation are most effective for all customers. When apologies are used with successive failures there is some evidence that the apology explanations are not equally effective for all customer types. The paper concludes with a discussion of the linkages between apology, service recovery and CRM systems in informal complaint resolution to improve senior level decision making, employee performance in service recovery, and customer satisfaction in for profit and non-profit organizations. Service failure has long been recognized as a fundamental problem confronting service organizations. Researchers contend that the dissatisfaction and anger that result from service failure require mitigation through service recovery processes on the part of service organizations (Smith, et al., 2009). Apologies have long been a necessary ingredient of the service recovery process. Service recovery processes acknowledge that the customer has experienced a service failure, serve to re-establish a sense of fairness and retain the loyalty of the customer (Boshoff & Leong, 1998).